Breach of construction contract, punitive damages associated with a gas leak. Breach of construction contract, punitive damages associated with a gas leak. Slip and fall in restaurant resulting in severe back injury and loss of ability to practice medicine. 18-wheeler accident resulting in back injury and inability to work as a carpenter. SUV rollover causing multiple serious injuries. Car Wreck with back injury. Car Wreck facial lacerations with scars. Car Wreck with medical complications. Truck Wreck with back injury. NCAA Disability Claim against University. For more than 27 years, Bryan Fisher, and the legal team at Fisher Injury Lawyers have won big for good people injured in wrecks and accidents. We provide top notch, experienced and winning legal representation to our clients and their families. We provide over 50 years of combined legal experience and practically unlimited resources. We combine our winning experience with complete commitment to the cause of justice for our clients. 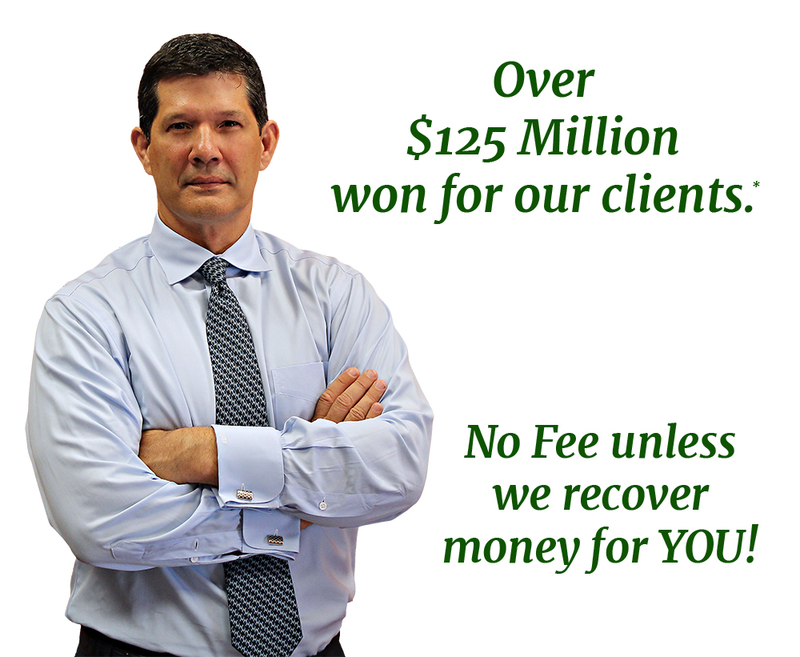 The attorneys of Fisher Injury Lawyers have a proven record of success having won over $125,000,000.00* in verdicts, judgements and settlements for individual clients. 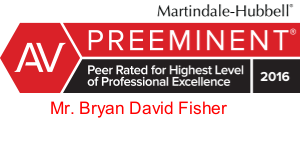 Fisher Injury Lawyers is a Martindale-Hubbell top Rated AV Preeminent firm, an Avvo.com top rated “10 Superb” firm and a recipient of a coveted Avvo Clients Choice award. Bryan Fisher has been recognized as Multi-Million Dollar Advocate and a Million Dollar Advocate. He is a American Association for Justice Leaders Forum Member and a top Member of the Chancellor’s Council for the LSU Law Center. His legal opinion is frequently sought by reporters and others investigating cases across the country. Bryan Fisher has been interviewed on TV, radio and print on hot legal topics. He is considered by many to be among the top injury and athlete disability insurance lawyers in the United States. Bryan has twice won trial verdicts of more than $15,000,000.00. A very rare accomplishment and a testament to his trial skills. He and his team have repeatedly recorded wins of $1,000,000.00, $2,000,000.00, $3,000,000.00 and more for our clients. Bryan is one of a handful of top injury lawyers to have earned a law license in 3 states; Louisiana, New York and Texas. Courts have authorized him to handle cases in 28 states. Both unique distinctions in the legal world. His record and qualifications are truly among the best in the United States. Our firm is strictly focused on personal injury and NCAA or NFL disability cases. Bryan Fisher and his team are driven to win big for our clients and are relentless in the pursuit of justice. We offer unsurpassed knowledge, experience, and expertise in this complicated field of law. We have the deep resources necessary to win the biggest, most challenging cases against huge corporations and insurance companies. We have secured top compensation for countless clients who have been injured in accidents involving automobiles, motorcycles, trucks, bicycles, boats, pedestrians, drunk drivers, slip & fall accidents and more. We are ready to go to work for you. *Our wins include verdicts, judgements and settlements in individual cases in which Bryan Fisher or Fisher Injury Lawyers were enrolled as counsel of record. The total does not include wins in class action lawsuits. This is my first time really having to deal with a personal injury lawyer and the whole experience, even though it was due to a car accident, turned out to be great. I was very blessed. He was very accurate and patient with me. I thank God that he came into my life this way. I love the way he talked to me on the phone. He was never in a hurry and right to the point. Attorney Fisher generously provides helpful and correct advice for free on the avvo website to assist those in need of such advice.I endorse this attorney. I endorse this lawyer. He has the experience necessary to pursue the best outcome for his clients. I endorse this lawyer wholeheartedly. Mr. Fisher is an excellent attorney who is highly respected in the legal community. I recommend him to anyone.